I'm trying to extract LZMA compressed data using binwalk but the fetched file is not being recognized. What am I doing wrong ? Second step: using dd to fetch that lzma compressed data. Why is it not being recognized ? Am I missing something ? It's a false positive. 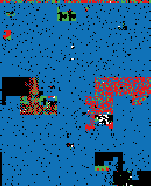 There is no LZMA-compressed data in the binary. The signature detected by binwalk in the question was one of LZMA-compressed data, a compression method to which an entire file is dedicated in the source code of binwalk. The fastest and easiest heuristic to use in making a determination as to whether there really is an LZMA-compressed portion within firmware.bin is to use binwalk to perform an entropy scan. Compression results in very high information entropy within the compressed region. Compression can therefore be very easily spotted by looking for areas with an entropy level close to 1 in an entropy plot generated by binwalk. Note that for the examples below the term "obfuscation" is used instead of "compression" because it is often difficult to accurately differentiate between compression, encryption, etc just by using entropy analysis. 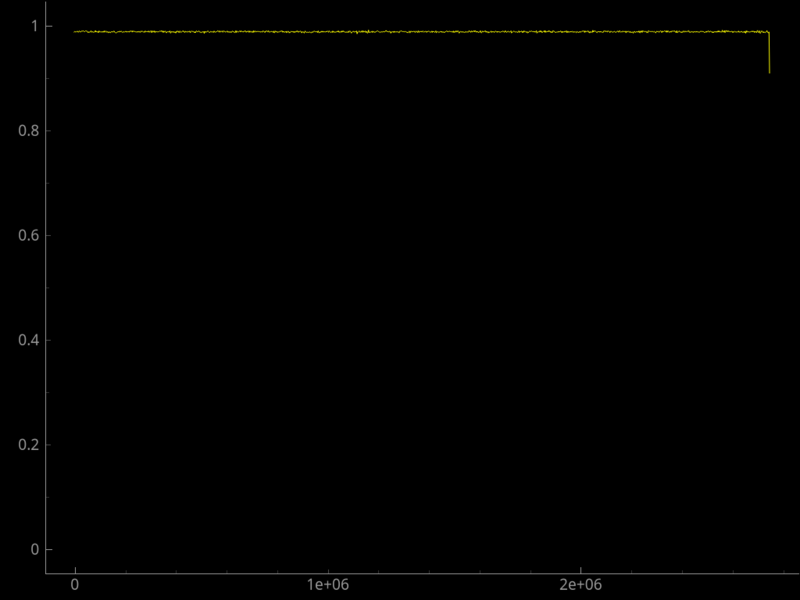 Note also that when analyzing firmware, entropy close to 1 is a strong indicator, not a guarantee, of obfuscation. This is because firmware binaries sometimes contain embedded image files such as JPEGs, which have high entropy. Confounding factors like embedded image files reduce the accuracy of entropy scans in locating regions within the binary that are truly compressed (or obfuscated). The flat, straight line indicates that the entropy level is very close to 1 throughout the entire binary, indicating that there are no un-obfuscated regions. 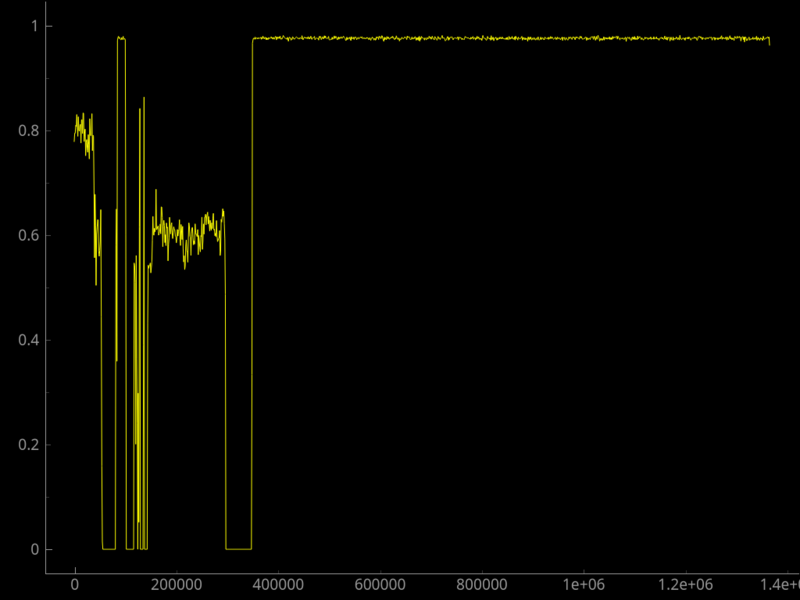 In this firmware binary there are 2 obfuscated regions: one beginning at offset ~8000 decimal and ending at offset ~10000 decimal, and another extending from offset ~35000 to EOF. 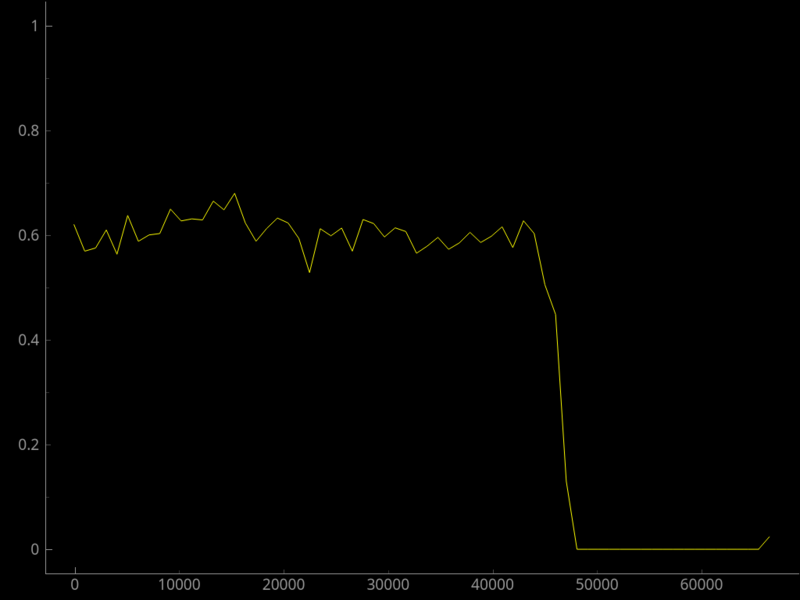 The maximum level of information entropy in this plot is approximately .7, which is inconsistent with obfuscation. 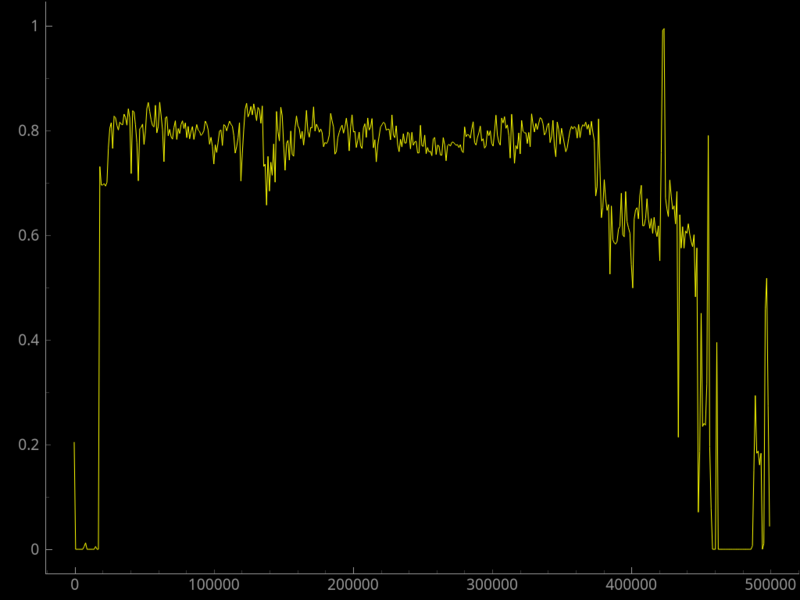 This casts doubt on the accuracy of the signature scan output. Visualization can used to very quickly get a sense of the layout of a binary. An entropy plot is arguably one type of visualization: since code and data have different entropy levels, an entropy plot can be used to get a sense of the layout of a binary. For example, file headers typically have low entropy, code has fairly high entropy, and ASCII data has an entropy level between the two. 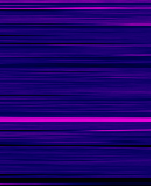 Note: blue is ASCII data, pink is entropy close to 1. This specific region can be more closely scrutinized with hexdump. Firmware binaries can be quite large, but often only certain parts will be interesting enough to merit direct inspection. Inspection of regions of a binary using a hex dump can also provide some context for what is going on at particular offsets. The -s argument skips the specified number of bytes (in decimal), which is especially useful when working with large files. 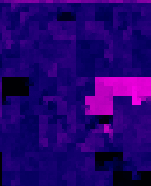 It looks like the obfuscated block begins at offset 0x67314 rather than at offset 0x67400. The ASCII string directly preceding the beginning of the obfuscation is a pathname for a C source file crypto/src/wmcrypto_mem.c, that, given the references to "crypto", indicates encryption functionality. The ASCII strings following the end of the obfuscated region include references to WPA, and EAPOL keys. raise the suspicion that the obfuscated block is related to the device's encryption functions and may itself be encrypted. 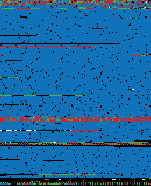 There are quite a few null bytes and repeated characters following the offset of the detected LZMA compression signature. Given that compressed regions have high entropy, this indicates quite strongly that the detected signature was a false positive. An obfuscated binary will contain many meaningless sequences of random ASCII characters and very few or no human-readable strings. This may or may not be meaningful information. I can't tell. The point of all of this is to show that signature-based scans have a tendency to produce false positives and also do not detect quite a bit of interesting information contained in firmware binaries (given that they are not obfuscated), and that tools are not a replacement for the brain. Even if a scan produces no output at all there may still be useful information to be found using other methods. There several tools and techniques that can be used to extract interesting or useful information, and one should not become overly reliant on a single tool or method or implicitly trust a tool's output. Double-check your version of binwalk to see if it is up-to-date. Not the answer you're looking for? Browse other questions tagged firmware patch-reversing or ask your own question. Unpack & repack a firmware for use as an updated version? Image base of unknown file format?